United States is a proper noun. United States is (1) the executive and legislative and judicial branches of the federal government of the United States, (2) North American republic containing 50 states - 48 conterminous states in North America plus Alaska in northwest North America and the Hawaiian Islands in the Pacific Ocean; achieved independence in 1776. The following articles provide more information about the term United States. 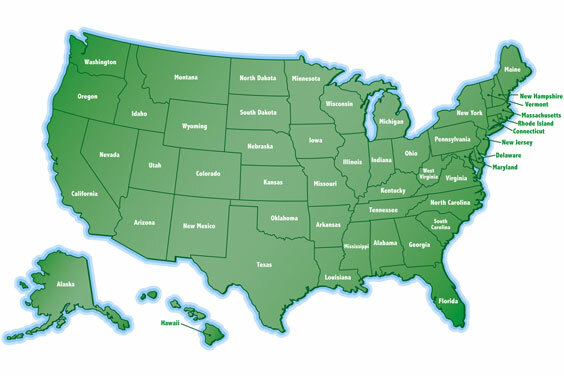 This website offers an online photo gallery that features major United States cities and points of interest. Find links to photos from many different states. This official website for the United States Navy provides information and news to the general public. Site visitors can learn about the Navy's history and find a roster of the kinds of ships and their functions. There is also a link to careers in the Navy. U.S. Bank is the 6th largest commercial bank in the United States. It operates 2,512 banking offices and 4,870 ATMs. They offer a full line of banking services, including mortgages and investments. Users can invest and do their banking online through this website. There is also an application for a credit card on the site. CBP operates under the Dept. of Homeland Security. It employs 41,000 people to manage, control, and protect the Nation's borders, at and between the official ports of entry. The website contains history, news, import and export information, travel and more. This is the website for the Department of Defense. The Department was formally established in 1949 when the three branches of the military were merged. On the website, users can find information about the War of Terror and other news that involves the Military worldwide. The DOE was created in 1980 to foster educational excellence and ensure equal access. On the website, users can read about current topics in educational news, search by student, teacher, administrator, or parent, look at information centers on financial aid, grants, policy, research and statistics, and other programs. This is the official website for the Girl Scouts. The Girl Scouts were founded by Juliette Gorden Low in 1912 and chartered by Congress in 1950. Today there are almost 4 million Girl Scouts, girls and adults. The website features news, how to join, donate, and volunteer, plus a shop for buying girl scout apparel and other items. This is the website of the U.S. House of Representatives, which contains information about the current make-up of the House and of its history. Users can find out about pending legislation, upcoming bills, the websites of all representatives, websites for House Committees, full text of the basic Laws of the U.S. This is the official website for the U.S. Coast Guard, which was founded in 1790 and in 2003 became a branch of the Department of Homeland Security. The USCG is responsible for enforcing maritime law and for search and rescue on the seas. It protects the U.S. from threats to our shores. The following articles provide recent United States-related news. The United States is expected to announce on Monday that all buyers of Iranian oil will have to end their imports shortly or face sanctions, triggering about a 3 percent rise in crude prices. CNBC's Brian Sullivan reports. CNBC. Monday, 22 Apr 2019 11:04 GMT. Yahoo. Sunday, 21 Apr 2019 19:47:29 -0400. Reuters. Sunday, 21 Apr 2019 12:11:31 -0400. New Zealand Herald. Sunday, 21 Apr 2019 15:14:34 +1200. A 42-year-old Indian national was extradited to the United States on Thursday for his role in a call centre scam, which targeted more than 15,000 people in the US. Victims were cheated of at least US$230 million (S$312 million). ABC News. Saturday, 20 Apr 2019 12:10:27 -0400. BBC News. Saturday, 20 Apr 2019 13:53:39 GMT. Victoria Petrenko. Kyiv Post. Saturday, 20 Apr 2019 09:42:54 +0000. Sheera Frenkel and Ben Hubbard. New York Times. Saturday, 20 Apr 2019 02:51:31 GMT. The following digital image illustrates the term United States.